The boys were loving every minute of it...they both came home from school with a sack full of candy and treats from their parties. 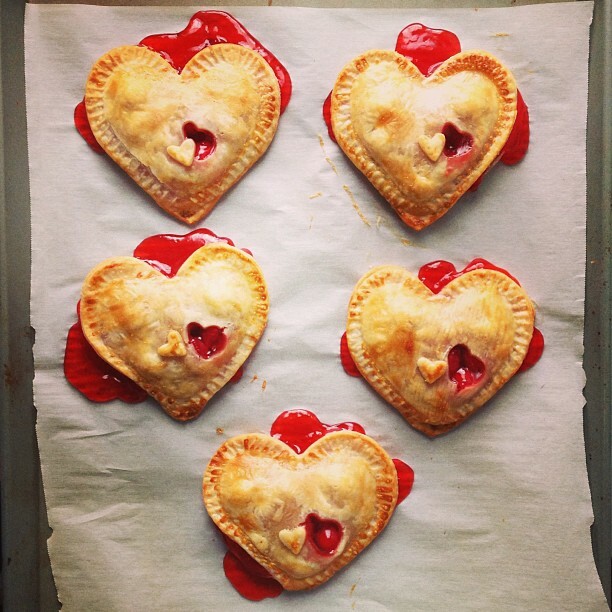 I made pocket cherry pies for my valentine. But they tasted pretty darn good!